A former police officer, professional competition shooter by day and professional varmint hunter by night. That sentence sums up Nick Atkinson's career. Since 2012, Nick has traveled the country, competing at the pro level in national level 3gun competitions. In 2016, Nick decided to take his hunting to the next level. Shortly after, BMH was founded. Nick's vision for Beast Master Hunting was simple-- create entertainment for people who are interested in hunting; It has since evolved to be much more. With his background in professional 3gun, Nick is bringing the speed and accuracy of competition shooting to the hunting world. Luke is a competitive shooter, avid outdoorsman, founder of Jawbone Media and political activist. Luke got his start in shooting at Woodruff scout camp as a Boy Scout and has since competed in 3 Gun, GADPA, IDPA, USPSA and long-range competitions such as the Mammoth Sniper Challenge. Drawing from his experience with firearms and competitive shooting, Luke has since become active in the world of predator hunting. 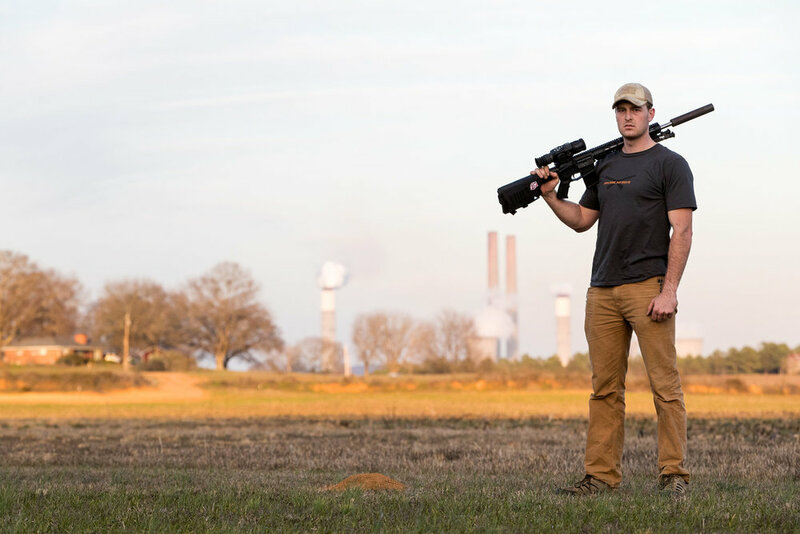 Luke spends the majority of his time away from work hunting coyotes late at night with thermal optics all over North Georgia. In addition to his involvement in the world of competitive shooting, Luke is also actively involved in insuring our right to bear arms by serving as the Georgia State Director for Student for Concealed Carry.